The City of Guelph and the surrounding communities of Wellington County have been protected by Symposium’s Horizon EME CAD since early 2012, and in the last couple of months the department has been moving forward with the project’s next phase – deployment of the EMMobile mobile data solution. The system – installed on MDT’s in 10 GFD fire trucks so far – provides first responders with real-time access to critical incident information directly from the CAD, as well as map-based location data for active incidents and GPS-based location information for responding units. The system also provides two-way integration with the department’s FIREHOUSE RMS, making available important premise-based information directly to first responders in the trucks, and updating the reporting module with important vehicle times and other response benchmarks. And now that Guelph Fire and the departments of Wellington County are using EMLive, they get critical incident info from both the CAD and the truck-based EMMobile pushed to smart phones and tablets in real time. 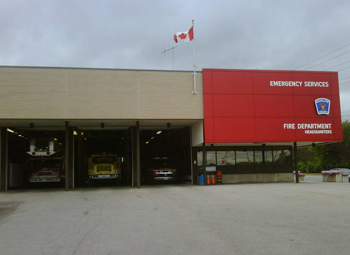 As the fire departments of Guelph and the surrounding region continue to grow and evolve, their Symposium systems will continue to grow and evolve with them. We look forward to continuing our work together in ensuring they and the communities they protect benefit from the fastest, safest, and most effective response possible. To find out more about how we can help your department do the same, please contact Symposium by emailing us at info@symposiumtechnologies.com.